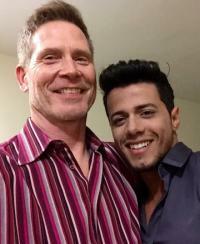 I met my Brazilian fiancé Renato on an internet dating site in March, 2016. We spent a month together in Brazil, July-August, 2016. I met all of his family and we took some amazing side trips together, including the Rio 2016 Olympics. We decided to get married during this trip and when I returned to the U.S. on August 15, I immediately filed the paperwork for the K1 Visa, mailing it on August 20, 2016. We are planning our wedding and looking forward to spending the rest of our lives together.